All of the tools are available electronically you can use to develop your own program. A kindle version is available.Describes all aspects of developing, implementing, and maintaining a certification program. The guidelines cover how to certify employees, contractors, third-party distributors, suppliers, and customers. Each chapter describes common mistakes and tips on how to avoid them. Received the Outstanding Communications Award from ISPI, 2014. Has a CD with over 27 tools you can use. A kindle version is available. A best seller. Used by practitioners and universities. The first part focuses on how to become a performance consultant. 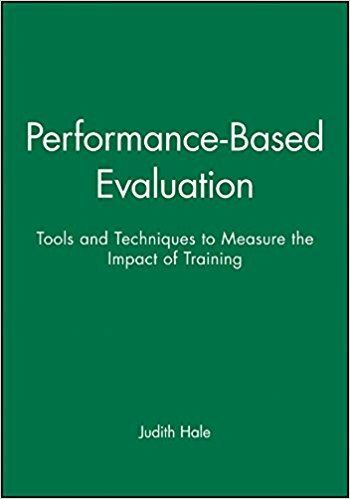 The second part provides models and guidelines for identifying barriers to performance, diagnosing performance problems, selecting interventions, and measuring results. by Deb Page, CPT and Judith Hale, Ph.D., CPT. (ISBN: 978-1-4522-4089-3 (pbk) Corwin, 2013, 200 page) All of the tools referenced in the book are available electronically. The chapters parallel the ten standards on which the Certified School Improvement Specialist (CSIS) certification is based. It is full of stories, examples, and non-examples that exemplify the facilitation skills required to enable others to do what is required to improve the performance of school leaders and students in ways that are sustainable. Has a CD with over 33 tools you can use. 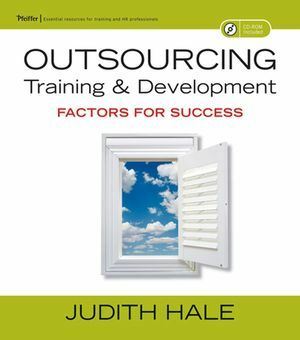 This book provides useful tools and decision guides you can use when considering outsourcing some or all of the tasks associated with outsourcing some or all of a staff function. by Judith Hale, Ph.D., CPT. (ISBN: 0787960365, Pfeiffer, 2003, 200 pages). Includes a CD with over 20 tools you can modify for your own use. 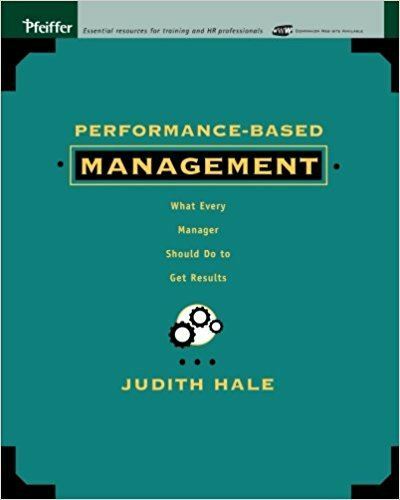 This book is for first line managers, supervisors, and HRD and performance improvement consultants. It is full of techniques, examples, and guidelines for helping people be more productive. Includes a CD with over 40 tools. Each chapter contains examples of real world applications, tools, common missteps, and tips and techniques.